We're celebrating 20 unbeatable years of African drumming! This autumn’s African Drumming Evening Class with Steve Rivers will mark 20 years since he ran his first workshop in Sheffield. 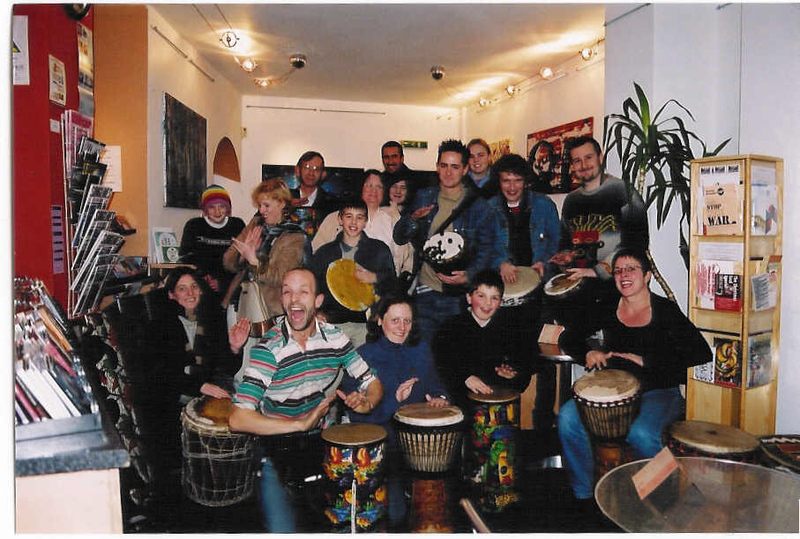 In 1994 he started a drop-in session for the Sheffield community with 5 hand drums, a saucepan, a Chinese wok and 20 plastic water bottles (donated by the local recycling centre). The session was oversubscribed and there were not enough instruments to go round. Steve had to throw hand clapping rhythms in to the mix at the last minute to keep everyone occupied. 20 years and six African study trips later and his collection of African drums and percussion has grown considerably. His last count was 81 drums; 100 frame drums, 60bells, wood blocks, and shakers and over 1200 Boomwhackers (coloured tuned percussion tubes)! Since its humble beginnings, the one man outfit has flourished into the company that you see before you - Unbeatable Energy Ltd. Unbeatable Energy Ltd is also celebrating an anniversary – 10 years of trading. As well as maintaining the evening classes, Unbeatable Energy also brings the beat to thousands of people each year, through school workshops, community sessions and corporate team building events. Their interactive drumming and percussion sessions can involve anything from 10 to 1200 participants and have taken the team to events across the UK and even as far as Japan. Clients range from the local Sheffield Children’s Hospital to Google. The 10 week African Drumming Course with Steve Rivers starts on Thurs evening 2nd October at Horizon Methodist Church on Ecclesall Road, Sheffield. For more details and to book a place on the new course, go to African Drumming Evening Classes in Sheffield.